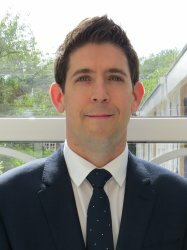 Dr Philip Molyneaux is a Clinical Senior Lecturer in Interstitial lung disease and an Honorary Consultant at the Royal Brompton Hospital. Philip qualified from Guy's, King's and St Thomas' School of Medicine in 2004, where he completed an intercalated BSc. in Molecular Genetics. He undertook his SHO training at Guy’s and St Thomas’ and upon completion of the MRCP attained an NIHR Academic Clinical Fellow position in Respiratory medicine at Imperial College. He spent the next two years training at St Mary’s Hospital and working with Professors Cookson, Moffatt and Johnston studying the respiratory microbiome in COPD. An Asmarley training fellowship allowed him to undertake a PhD examining the host response to the respiratory microbiome in Idiopathic Pulmonary Fibrosis as part of the Prospective Study of Fibrosis In the Lung Endpoints (PROFILE) study with Professors Maher, Cookson and Moffatt. Having completed his clinical training in Respiratory and Critical Care Medicine he returned to Imperial joining the Fibrosis Research Group as a Senior Clinical Lecturer. He also holds a position as Consultant in Interstitial Lung Disease at the Royal Brompton Hospital where he has a special interest in Familial Pulmonary Fibrosis.